"I hope they will turn up themselves and tell about themselves", he said in comments that hinted they will make a public statement shortly. 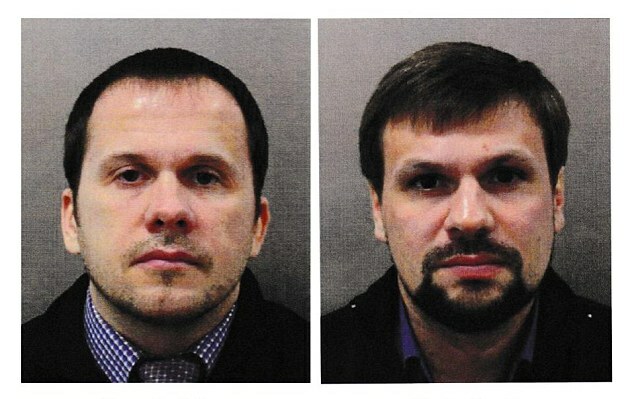 Alexander Petrov, left, and Ruslan Boshirov have been charged by British police with attempted murder. Citing the GRU's reputation for strict discipline and hierarchy, May said of the attack on the Skripals, "It was nearly certainly also approved outside the GRU, at a senior level of the Russian state". He added they would contact the media and tell their story soon. The Kremlin leader spoke amid new revelations indicating that the "spies" who planted novichok in Salisbury may have stolen the identities of Russian people for their mission. "There is nothing particularly criminal there, I assure you", he said.